Dr. Sanchez is a Board Certified Psychiatrist and Board Certified in Addiction Medicine. 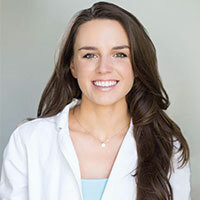 Dr. Sanchez received her Bachelor of Science degree from UCLA, Medical Degree from Michigan State University, and Psychiatry Residency training at UCI Medical Center. Her primary focus is mood and thought imbalances and how to enable patients to regain control over their lives and successfully deal with their addictions. Dr. Sanchez works with all psychiatric diagnoses, but specializes in detox and rehabilitation care, dual diagnoses, and PTSD. 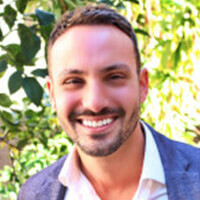 Christian Small, MD is board certified in addiction psychiatry, general psychiatry and family medicine. Doctor Small is a leader in the field of addiction medicine and specializes in providing high quality medical and psychiatric services to treatment programs. He is one of a handful of doctors in the US who have the experience and training to treat full spectrum medical and psychiatric illness. 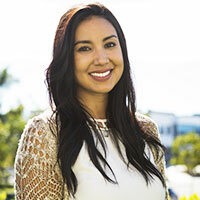 Dr. Small is a graduate of the University of Hawaii John A Burns School of Medicine and completed a his residency in Psychiatry and Family Medicine residency at UCSD. Dr. David Sisemore is certified by the American Board of Psychiatry and Neurology. Dr. Sisemore specializes in treating adults with co-occurring psychiatric disorders and intellectual disabilities, severe psychiatric conditions and substance abuse disorders. Dr. Sisemore completed his residency training in adult psychiatry at the University of California, Davis. Dr. Sisemore utilizes a bio-psycho-social framework in his approach to treating psychiatric and substance abuse conditions. 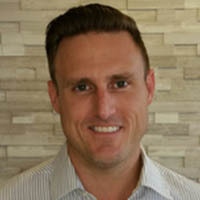 Dr. Ian Johnson has a Bachelor’s Degree in Biology from Boston University and a medical degree from the State University of New York, Upstate Medical Center, Syracuse, New York. He has served as an active duty flight surgeon in the US Air Force.He has also served in the US Army Reserves where he taught combat life support classes, supervised drug screening of soldiers and was recognized as a Subject Matter Expert in suicide prevention. He is retired from the Army Reserves in the rank of Lieutenant Colonel. Dr. Johnson is board certified in Family Practice and he has secondary interests in Addiction Medicine and Obesity Medicine. He has served for many years as medical director for various Opioid Treatment Programs (Methadone Clinics). 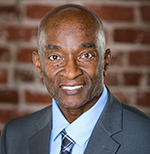 He has also served as medical director for an alcohol and drug detox and residential program as well as medical director for one of the largest consortiums of community clinics in Sacramento, California. His biggest passion has always been to provide medical services to sub-populations that have been marginalized and medically underserved due to their lack of economic resources or due to illnesses that have been unfortunately stigmatized by society at large. Dr. Johnson’s various professional memberships include: the American Society of Addiction Medicine, Coalition on Physician Education (COPE) in Substance Use Disorder, and the American Academy of Family Physicians. He holds community faculty positions from the University of California, Davis and California Northstate University College of Medicine. Shannon is a Licensed Marriage and Family Therapist. She graduated from Vanguard University with a Master’s degree in Marriage and Family Therapy. 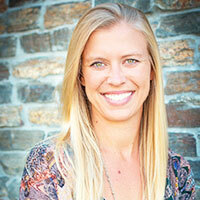 Shannon is passionate about empowering individuals to find healing and restoration. “There is nothing more rewarding than to be invited into someone’s pain and to watch them grow and experience the freedom from their bondages,” she says. Shannon also specializes in helping those struggling with addiction, depression, anxiety and relational issues. Kristen is a Marriage and Family Therapist and a Practitioner of Clinical Counseling. She received both her BA and Master’s degree in Clinical Psychology (with an emphasis in MFT) from Azusa Pacific University. Kristen also completed coursework for the Certificate in Alcohol and Drug Counseling at California State University Dominguez Hills and utilizes humanistic and existential models of therapy and an overall holistic approach. Eaman is the Director of Ohana at Akua and brings years of experience in substance abuse treatment to his position. He has a Bachelor of Arts degree in Philosophy, with an emphasis in Philosophy of Psychology and Phenomenology of Addiction. Eaman is currently pursuing a Master’s degree in Social Work. Eaman is passionate about helping those who struggle with addiction, giving them lasting tools to transform their lives through successful recovery. Terrah obtained her license in Vocational Nursing from Northwest College. She has clinical experience in a variety of specialties, including psychiatric/mental health, surgical, pediatric, gastrointestinal, and community health care. Terrah’s medical capability and caring approach create the perfect combination for safe and effective detoxification treatment. Terrah has the ability to make clients feel personally cared for as she nurtures them towards their recovery. Kenyota graduated from the University of Missouri Saint Louis with a Bachelor’s of Liberal Studies with an emphasis in psychology and communications. She received her Master’s of Art degree in Professional Counseling from Lindenwood University. Kenyota is currently working on her PhD in Leadership and Higher Education Administration at Saint Louis University . 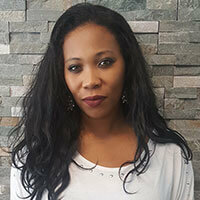 Kenyota has been a therapist in private practice and various organizations , for several years. She has worked heavily with co- occurring disorders, women’s issues, family systems, addictions, and under-served populations providing resources and treatment. Kenyota has extensive training in cognitive approaches to trauma therapy and has worked with Survivors of War who suffer from PTSD. Her therapeutic approach focuses on the “whole person”- mind, body and spirit and is a combination of cognitive-behavioral and psychodynamic approaches. She focuses on short-term symptoms as well as long-term factors that underlie the client’s issues in order to help them reach a greater understanding of self to and help them on their path of healing. Rachel is a Registered Marriage and Family Therapist and received her Master’s degree in Counseling from California State University, Long Beach. Rachel is also a Registered Yoga Teacher (RYT) and completed her 200-hour yoga teaching training program from Cloud Nine Yoga. Rachel is trained in Trauma-Informed Yoga and Yin Yoga. She uses mindfulness-based concepts to inspire clients to maintain a calm, open mind, allowing them to explore their thoughts, emotions and body sensations with curiosity rather than judgment. Rachel’s goal is to help clients rebuild their self-esteem, allowing themselves to succeed and reach their true potential. Sarah is a Registered Marriage and Family Therapist and received her Master’s of Science degree from California State University, Long Beach. Her style integrates mindfulness, psychodynamic and cognitive concepts for the purpose of empowering men and women to approach their own feelings, thoughts, and relationships with compassion and curiosity. Sarah believes clients give themselves the opportunity to take their own power back through intentional self-love and reflection. 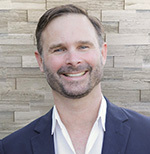 Quintin earned his Masters degree in Clinical Psychology at Pepperdine University, and is a Licensed Marriage and Family Therapist. He has always had a passion for helping people and feels grateful that he gets to do it for a living. He is especially passionate about working with those living with mental health issues and/or substance abuse issues. Quintin sees his clients as human beings, not as a combination of symptoms or diagnosis. He utilizes a respectful and collaborative approach, helping his clients identify specific problem areas and works together with them in designing goals and specific action steps to achieve these goals. Quintin prides himself on making the therapeutic process a positive and effective one, energizing and empowering his clients to create the change they want. Ellyn Silverman-Linnetz is a Certified Eating Disorder Registered Dietitian and Physician Assistant. Her expertise covers a wide area of practice, from integrating nutritional healing into addiction and recovery care to nutrition therapy in eating disorders. Her integrative approach to nutrition intervention helps clients improve their relationship with food and find peace in their bodies, so they can show up for what is most important in life. 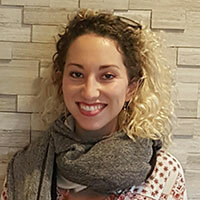 Silverman-Linnetz considers herself to be a “non-diet” Registered Dietitian and is committed to helping clients reach their goals through self-exploration and self-trust. She is an Intuitive Eating practitioner and comes from the philosophy of weight-inclusive wellness. Silverman-Linnetz has a Bachelor’s of Science degree in Nutrition from Rutgers University and a Master’s in Public Health from the University of South Carolina. She also completed a Fellowship and her Physician’s Assistant degree at the University of Southern California in Metabolic Dysregulation. Silverman-Linnetz is a member of IAEDP and The Academy of Nutrition and Dietetics, and has authored many publications, written chapters on a variety of topics and is a national speaker on nutrition health. Katie Marienthal LAC is a licensed acupuncturist and mindfulness meditation teacher. She gives group acupuncture at Akua and her meditations during these sessions are infused with topics that help those on the path of recovery. These topics include, self compassion, non judgement and cultivating awareness which leads to self discovery to better inform our choices. Katie is licensed in giving the NADA acupuncture protocol for addiction. This protocol was successfully studied at Yale, the results with acupuncture quadrupled the success rate of long term sobriety because of acupuncture’s healing impact on the brain. Katie has her Masters in Traditional Chinese Medicine from Emperors College and her Bachelors degree from USC. 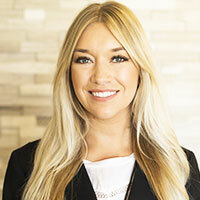 Christina is a Certified Addiction Treatment Counselor, Case Manager, and Marriage and Family Therapist with a Master’s degree in Clinical Psychology from Pepperdine University. For the past six years, Christina has worked in both residential and outpatient facilities helping countless individuals, couples, and families, find their own path in the recovery process. Christina facilitates groups focused on relapse prevention and the recovery process. Elizabeth is a Certified Yoga instructor and a Reiki II Practitioner with experience in addiction recovery. She believes that mindfulness is the key to understanding one’s self and paving a path through recovery that is authentic and sustainable. Elizabeth loves to blend science and spirituality in her holistic approach to mindfulness meditation, and believes that people’s capacity to heal one another with open hearts and open minds is the greatest miracle there is. John is a Licensed Vocational Nurse in California. He graduated from Vocational Nursing in 2011 from WestMed College. Having previously worked in various medical settings; sub-acute rehab, long-term care, pediatric, and the prison system, he discovered his passion in Substance Abuse treatment in 2015. Through previous experience he approaches each client individually focusing on their medical and health needs that will maximize their best opportunity at recovery. 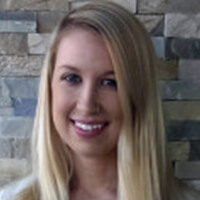 Britta graduated from the University of Washington with a degree in Interdisciplinary Visual Art and is currently completing her Master’s degree in Clinical Psychology with an emphasis in Marriage in Family Therapy at Pepperdine University. She is currently a Marriage and Family Therapist Trainee. Britta is passionate about helping people from all walks of life and brings experience from working with at-risk teens, inpatient substance abuse and mental health, a collegiate recovery community and homeless adolescents. She uses an integrative psychodynamic approach and draws from CBT, ACT and mindfulness practices. 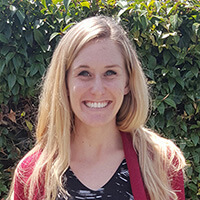 Megan Ahrens is a Marriage and Family Therapist Trainee that is receiving her Masters of Science in Counseling and received her Bachelors degree in Communicative Disorders from California State University, Fullerton. Megan has worked in the public education system, as well as in-home behavioral therapy with children and adults with special needs and other disabilities, for the last 10 years. 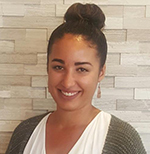 She is excited to be at Akua and work more closely with adults, families, and couples in a therapeutic setting and focus on psychodynamic and humanistic principles. Megan is thrilled to be a part of a team that is creating a stigma-free community around mental health and addiction processing and systemic growth. 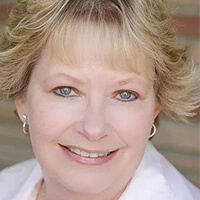 Jamie graduated from Sacramento State University in 2002 with her master’s degree in Counseling (School). She has over 15 year’s experience as a learning disabilities specialist working at Sacramento State University. She has extensive experience in working with disabilities including learning, cognitive, psychological, and disorders on the autism spectrum. Jamie has worked with various populations that suffer from substance abuse and mental health disorders such as anxiety, depression, trauma , ADHD, ADD and traumatic brain injuries as well as marital and family issues within a university and also a private practice setting. 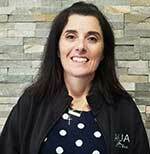 Jamie has a client centered approach and also utilizes mindfulness based techniques in treating her clients for their overall wellness. Jordin discovered a passion for working in the addiction field as a result of a personal experience in 2011. After earning her degree as a Certified Alcohol and Drug Abuse Counselor, Jordin began helping women understand the issues that surround the cycle of addiction, such as self-esteem, body image, healthy relationships, and communication. Some of the women struggling with such issues have a history of abuse and she is committed to helping women transform into their authentic selves and create a fulfilling life of recovery. Leslie is the Case Manager at Akua’s Detox program. She has been working in the field of recovery since 2010 and brings with her years of experience helping struggling addicts and alcoholics take their first steps toward a new way of life. 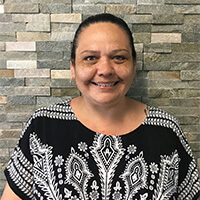 Leslie is a Certified Alcohol and Drug Abuse Counselor and is passionate about supporting and encouraging Akua clients while they work toward a healthy and happy future in recovery. 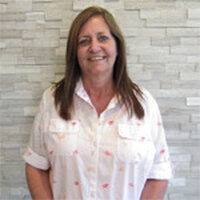 Over the twelve years that Dena Santos has been working in the treatment field, she has gained experience in both the clinical and administrative areas of care through a variety of modalities. Dena entered the substance use disorder treatment field as a certified counselor working with women suffering from substance abuse. Dena went on to be the director of a Residential Detox Program treating clients with acutely co-occurring medical and mental health issues. Dena’s passion is working one-on-one with clients by building exceptional treatment plans that support individual client care. 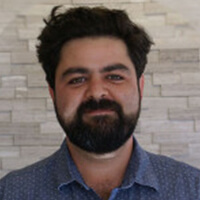 Eric has worked in the field of mental health and addiction since 2002. He is a certified alcohol and drug counselor (CADC II), and is currently completing his Master’s degree in Psychology to become a licensed marriage and family therapist. 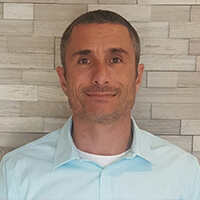 Eric has worked in all facets of treatment; from county psychiatric hospitals, private residential treatment centers, and intensive outpatient programs, and most recently assisting the homeless population in Orange County to obtain services for mental health, substance abuse, and housing. Additionally, Eric has been a certified trainer for staff on non-violent crisis intervention and de-escalation skills.